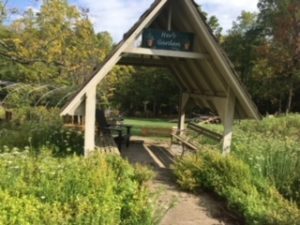 Hayes Arboretum is 466 acres of woodlands, meadows, swamps, and streams just waiting to be explored by eager students. 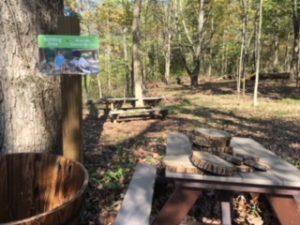 Our three miles of hiking trails are an ideal outdoor laboratory providing students and families an unparalleled learning experience. 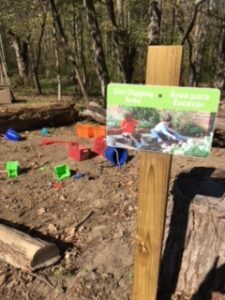 The playscape is a newly added area to the arboretum. 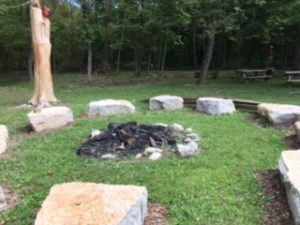 An area adjacent to the main parking lot and classroom building (Annex) was cleared of shrubs and undergrowth, including removal of invasive plant species. 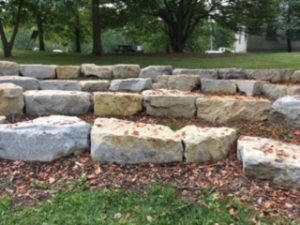 An amphitheater and two raised platforms were added to the natural features to allow for group gatherings. 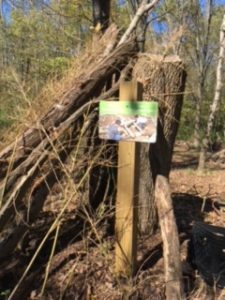 The cleared debris provides a natural perimeter to the play area, as well as native materials for exploring. 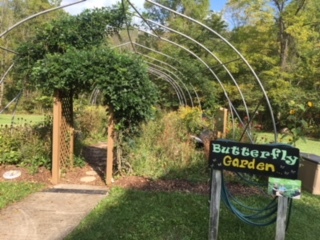 Existing butterfly and herb gardens provide a fantastic interactive edge and sensory experience for visitors. Picnic tables and Adirondack chairs allow comfortable seating for adults. Special thanks go to the Reid Health Community Benefit, Wayne County Community Foundation and Lowe’s Heros. 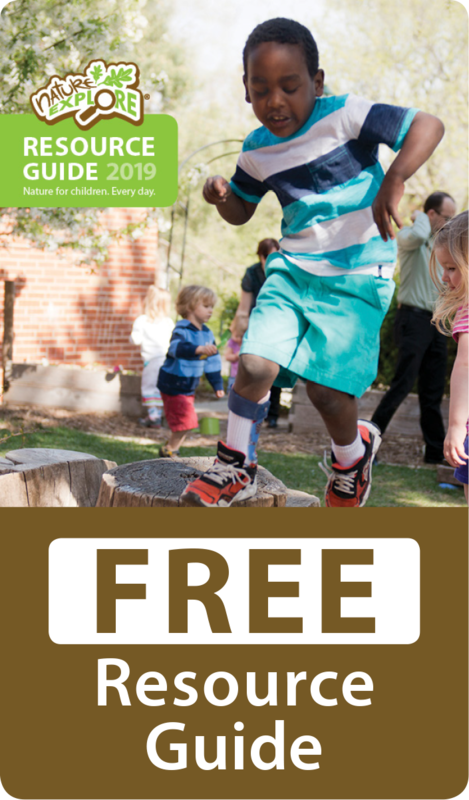 All three groups awarded grants to support the Arboretum’s Outdoor Playscape, a family-friendly space with areas to explore, play and connect with nature, because of the positive impacts on the community. 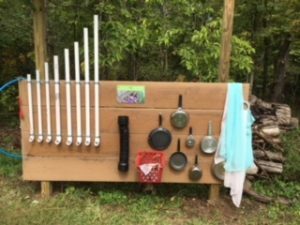 The Playscape creates a destination to promote good health and fitness through outdoor activity while helping reduced screen time for children and families. Additional thanks to the many volunteers who assisted with construction, including the local Lowe’s Home Improvement staff and contractors.